The development minister Ulla Tørnæs has pledged to earmark 410 million kroner for humanitarian efforts in some of the world’s most serious flashpoints. The funds will help alleviate crises in war torn regions in Syria, Afghanistan, Yemen, South Sudan, Libya and Myanmar. “It’s critical that the international community retains a clear focus on the victims of the big crises and conflicts across the world. The number of displaced people has never been higher and it particularly affects the areas near the big conflicts,” said Tørnæs. The aid includes 130 million kroner for Danish and UNICEF operations in Yemen, 50 million kroner for programs pertaining to the Rakhine State in Myanmar, 40 million kroner for aid in South Sudan and 20 million kroner each earmarked for Afghanistan and Libya. Moreover, 150 million kroner has been set aside for aid efforts in Syria, including supporting Syrian organisations that work at collecting evidence of war crimes, mine clearing and supporting the opposition to the Assad regime. 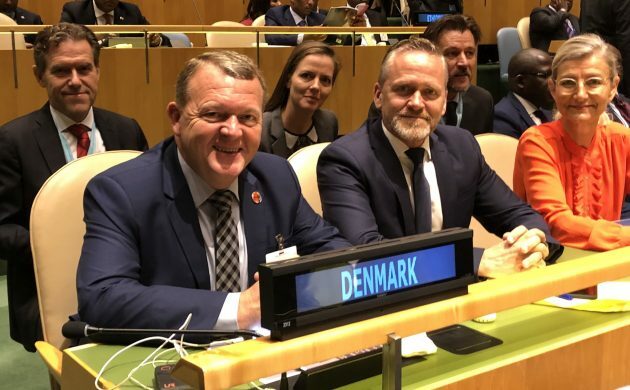 The foreign minister, Anders Samuelsen, continues to maintain that Denmark does not see a future for Syria that includes the current regime. Other areas supported through general aid are better access to health, nutrition and water, and a focus on vulnerable groups such as women and children.